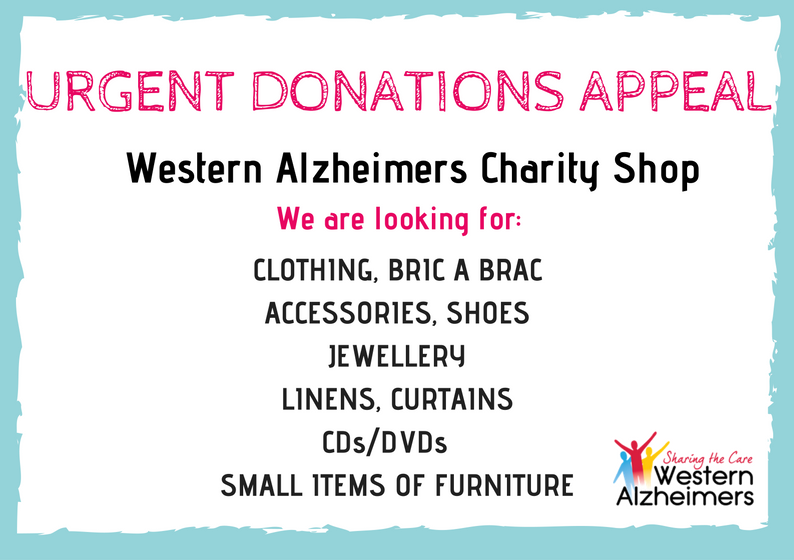 The Western Alzheimer’s Charity Shop in Boyle Co. Roscommon. was established in 2009 and is run completely by volunteers. The shop, operated by Margaret Glazzard and her dedicated team, is open Monday to Saturday each week. 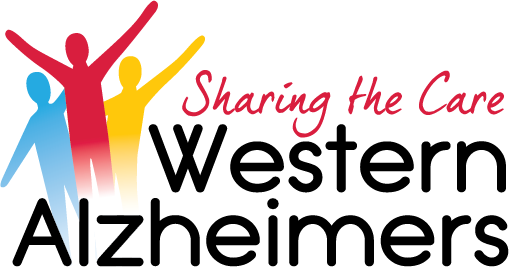 In 2017 we opened The Western Alzheimer’s Charity Shop on Market Sqaure, Castlebar Co. Mayo. The store opens Tuesday to Saturday 10-5. 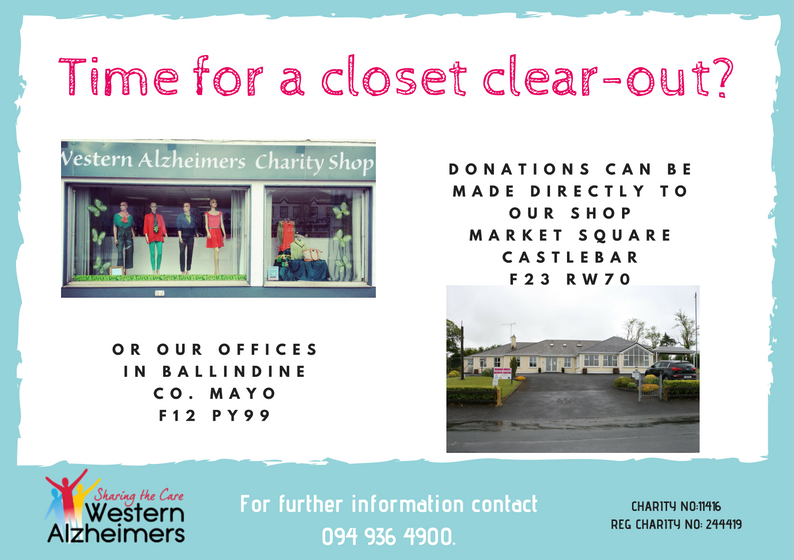 We are grateful of any donations you may have and items may be dropped directly to the shops or to our office in Ballindine next door to Marian House.